Surround yourself with creativity, be inspired and take your brand up a level, or seven! Time to step away from everything that distracts you and to focus on your business. Colour psychology is something every creative should have in their toolkit. It’s absolutely game-changing. Join Sophie Robinson and I for an inspirational, informative and colourful introduction to using the power of colour psychology for your interiors work. An intimate and intensive two-day workshop with Elizabeth Cairns and Fiona Humberstone. Designed to help you get to the very heart of what it takes to make your unique business thrive, it will give you the confidence and framework to achieve your goals for 2019. Inspirational, informative and comprehensive online courses designed to empower you to up your game, wherever you are in the world. All classes are self-paced which means that you can begin today and work your learning around your schedule. Shall we begin? A comprehensive, immersive process that will enable you to gain dazzling clarity around your brand. An empowering design course for entrepreneurs. Developed to give you the tools and the confidence to create work you can be proud of. Elevate your proposals, up level your downloads and be prepared for your clients to see your business in a whole new light. An inspirational and highly-effective course that'll walk you through the process of choosing a brilliant name with confidence. 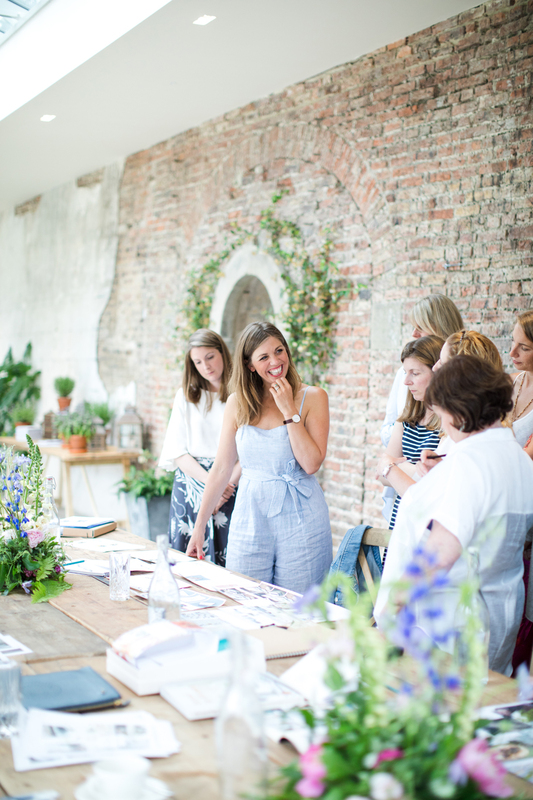 A luxurious and immersive four days in absolute heaven designed to give you the space and inspiration to elevate your brand with the expert guidance of Fiona Humberstone, The Brand Stylist. This year the emphasis is very much on giving you the time, space and inspiration to work on elevating your own branding materials under the expert guidance of Fiona. An informative, energising and uplifting morning workshop will set the tone for the day and provide the foundation for you to work on implenting what you've learned. One of the things I love the most about my workshops and retreats are the communities that form when a group of talented and ambitious creative women get together. I adore creating memorable and truly special experiences that bring people together to make a lasting impact on their business and create firm friendships. like to join us next year? The retreat is now sold out - in a mind-blowingly fast time! You'll find more details on The Brand Stylist Retreat 2019 right here and I am holding a waiting list. If you are interested in joining us, please take a close look at the retreat page and drop me a note to let me know you'd like to be on the list.